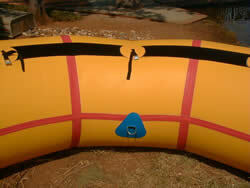 Our 15', 20' & 25' flotation tubes are made of 1000 denier, 30 oz PVC material. All seams are secured with double reinforced, 3" overlap glue bond. 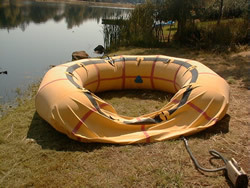 This glue bond seaming process is the same method used by many of the best brands of USA-made inflatable boats. 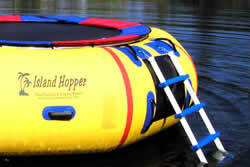 Most of our trampoline springs and framing hardware are made in the USA by a reputable trampoline manufacturer. All metal hardware parts and attachments are super galvanized for long life. 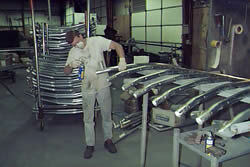 Our goal is to provide our customers with the highest quality components available.